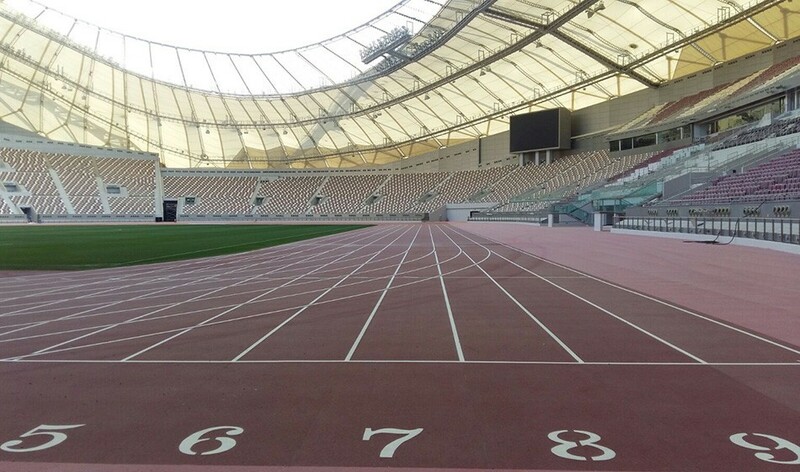 The qualifying standards for next year’s IAAF World Championships in Doha, taking place from September 27 to October 6, have been announced by the sport’s world governing body. In many disciplines the marks are tougher than for the 2017 edition in London. Both marathon marks are faster – from 2:19:00 to 2:16:00 for the men’s event and from 2:45:00 to 2:37:00 for the women’s. The women’s 10,000m standard is 31:50 rather than 32:15 and the women’s 1500m mark is a second quicker at 4:06.50. The men’s long jump standard is 8.17m rather than 8.15m for London, but the women’s is the only mark which has been made easier at 6.72m rather than 6.75m. Individual athletes can also qualify by being among the best ranked athletes as per the IAAF top performance lists within the respective qualification periods. This does not apply to the 10,000m, marathons and race walks where entries will be determined by entry standards only. Further information can be found here. British Athletics will publish its own standards in due course and it is up to member federations to select athletes from those qualified. All defending champions and 2019 Diamond League champions will receive a wild card bye into the championships. Target numbers have been introduced for the road events and 10,000m races – 100 for marathons, 60 for the 20km race walks, 50 for the men’s 50km race walk, 30 for the women’s 50km race walk and 27 for the 10,000m. There will be an increase in the number of teams qualified from the IAAF World Relays from eight to 10 in the 4x100m and 4x400m relays, for a total of 16 entries. For the 4x400m mixed relay, which will be contested for the first time, 12 teams will qualify from the IAAF World Relays in Yokohama. Further information on the qualification system and entry standards can be found here. For the 10,000m, marathon, race walks, relays and combined events the qualification period runs from March 7, 2018, to midnight on September 6, 2019. For all other events the qualification period is from September 7, 2018, to midnight on September 6, 2019. In November 2017 the IAAF announced plans for the first official ‘IAAF World Rankings’ to replace the previous process of entry standards when it comes to qualification for major competition. However, last month the governing body confirmed that entry standards would still be used while the period of consultation for the new rankings system is extended.